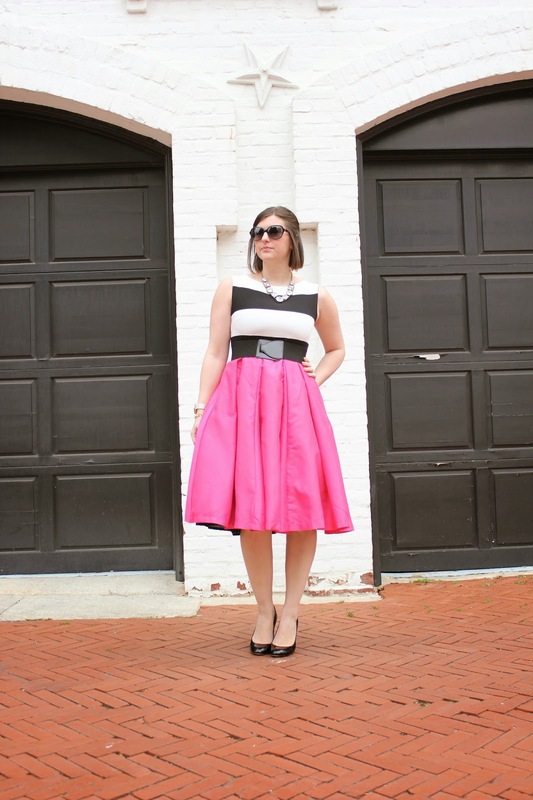 one of my fellow bloggers @inthedistrict showed me this dress a while ago. when choies asked me to style something from their site i was for sure i knew what i would want to pick. 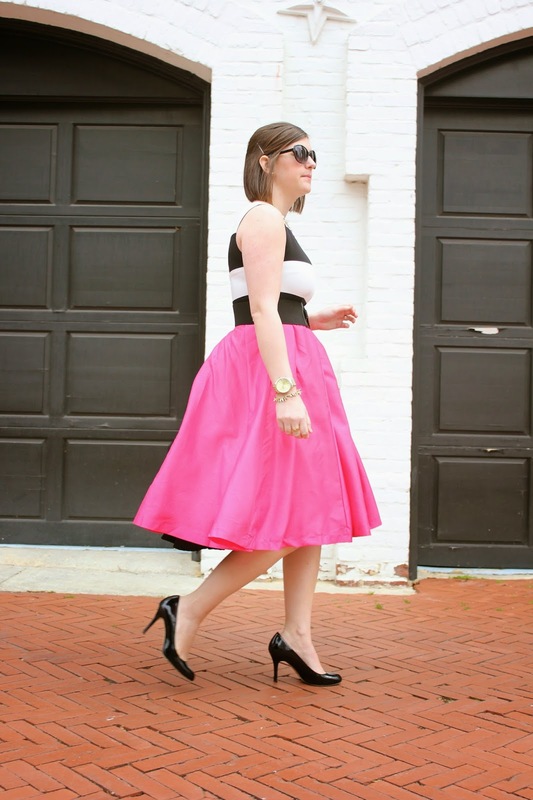 the full pink skirt with the contrast of the stripes is such an amazing combination for any season. hope you enjoy this dress as much as i have. dress:choies ℅, karolina heels:kate spade, belt:vera wang(similar here) necklace:kate spade (old), sunglasses:dvf, bracelets:stella&dot ℅ of meredith horton, rings:kate spade/brad glasses, lipstick:kate spade. Love that skirt! Gorgeous look! this look is seriously perfect dear! yes jackie, i felt kinda like a princess all day. i am excited to be able to style it in other ways in the future…stay posted to see what i do with it! Super cute dress! It looks great on you! In love with this dress Beth! Such a unique find and definitely reminds me of something BEE would wear! The whole look is perfection! rita, that is the nicest comment ever…thank you so much! i am glad that you enjoyed this look. You should be the cover girl for Kate Spade Beth!! Seriously, you always look so perfectly put together. Just gorgeous cutie! thank you so much amy. you are so sweet!!! Super chic! You look like a fun modern day Audrey Hepburn.